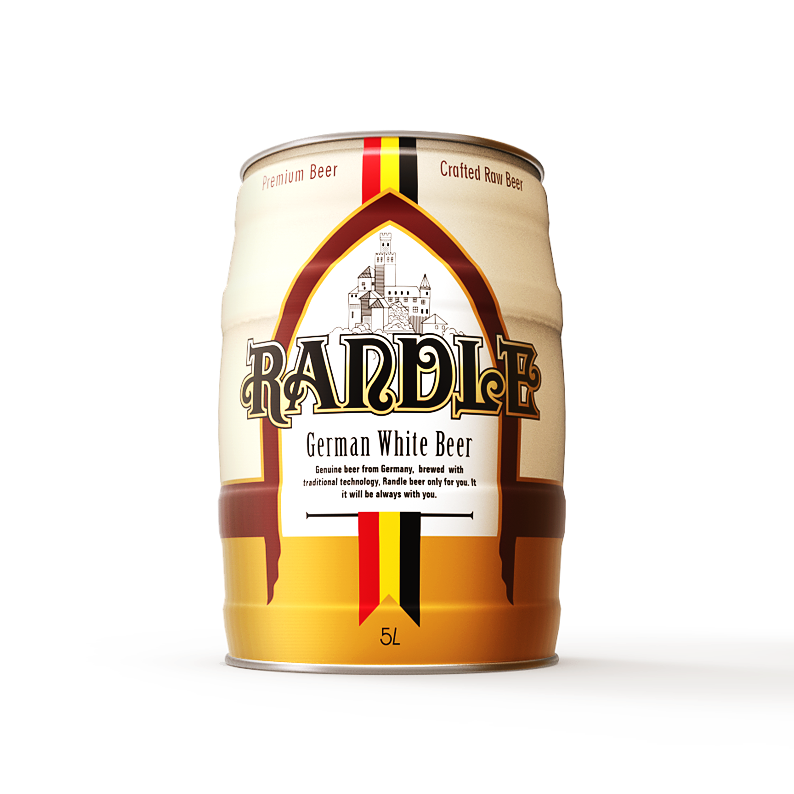 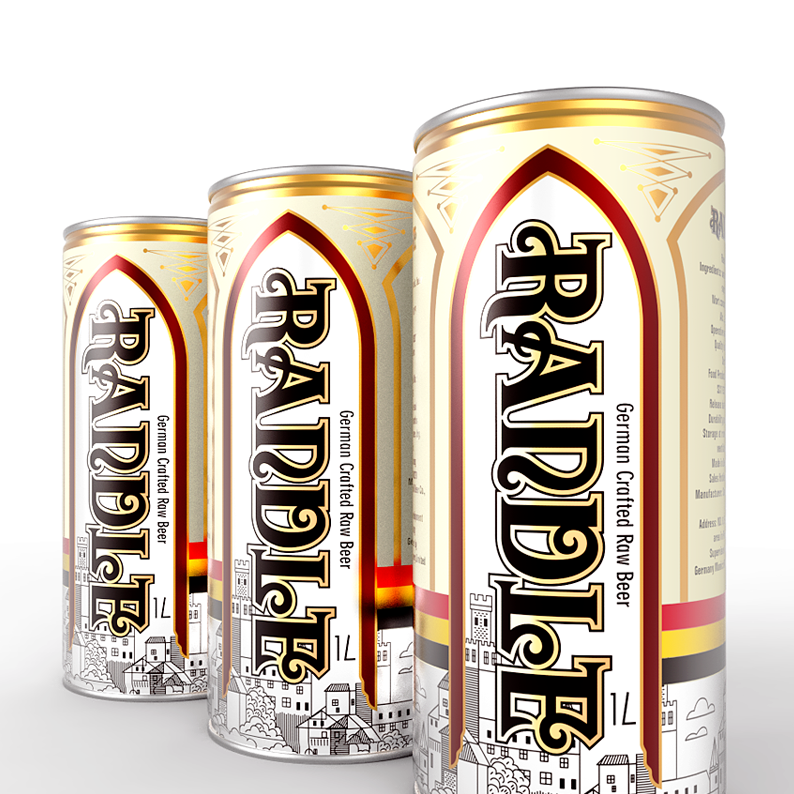 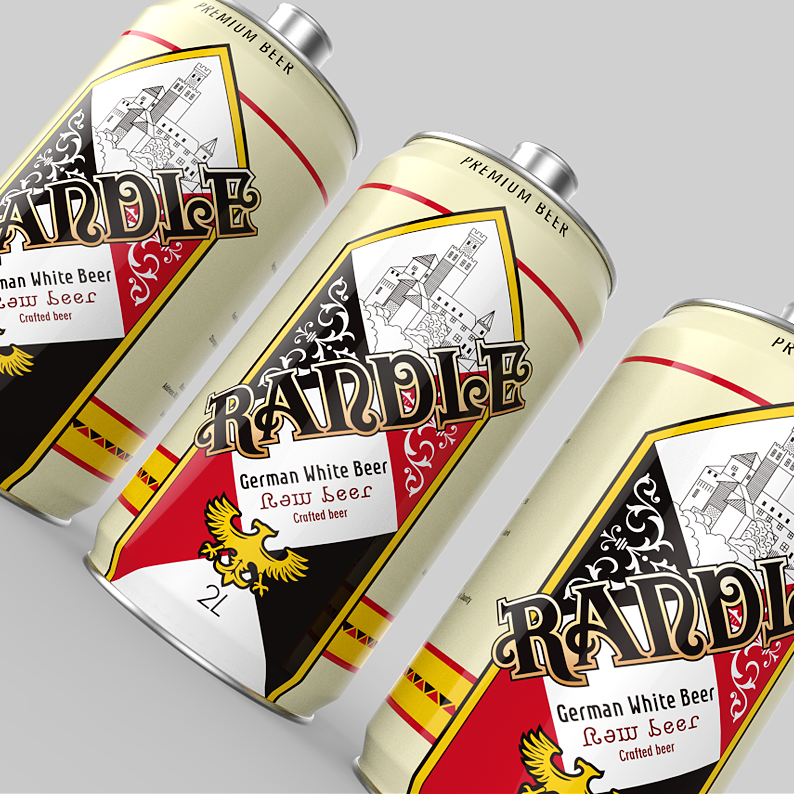 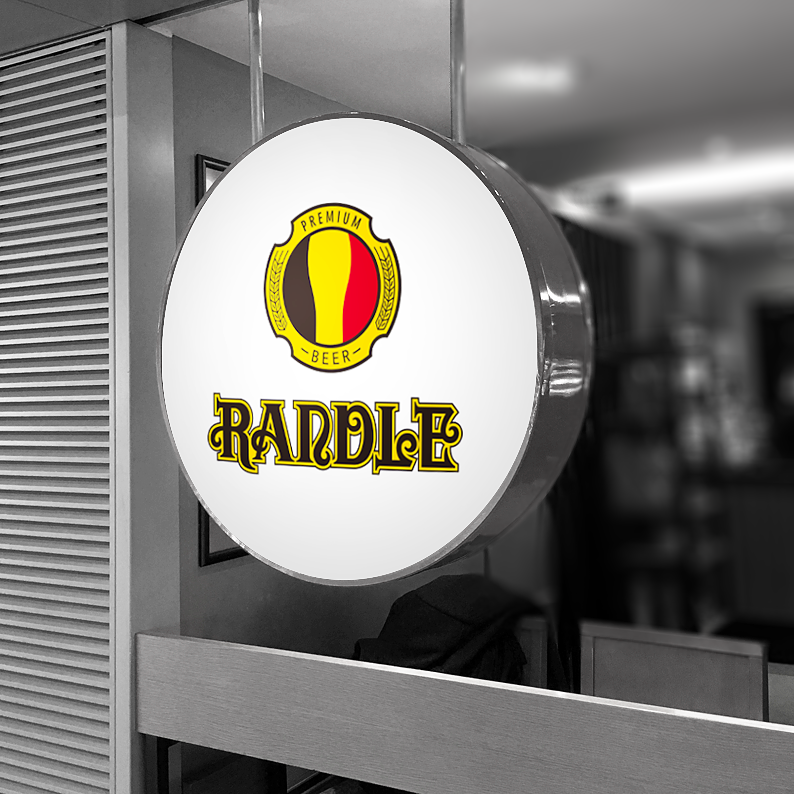 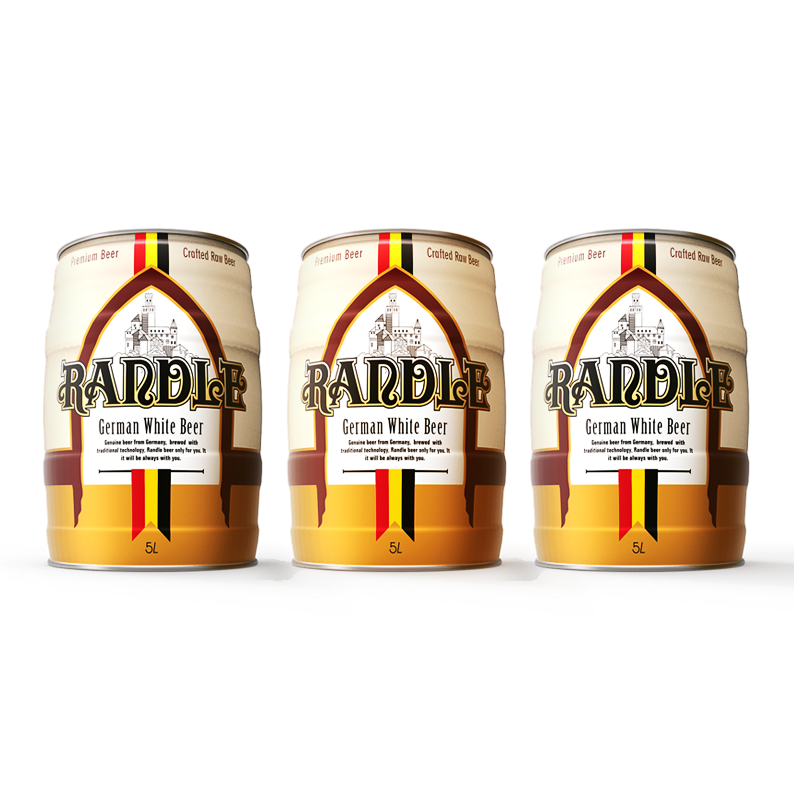 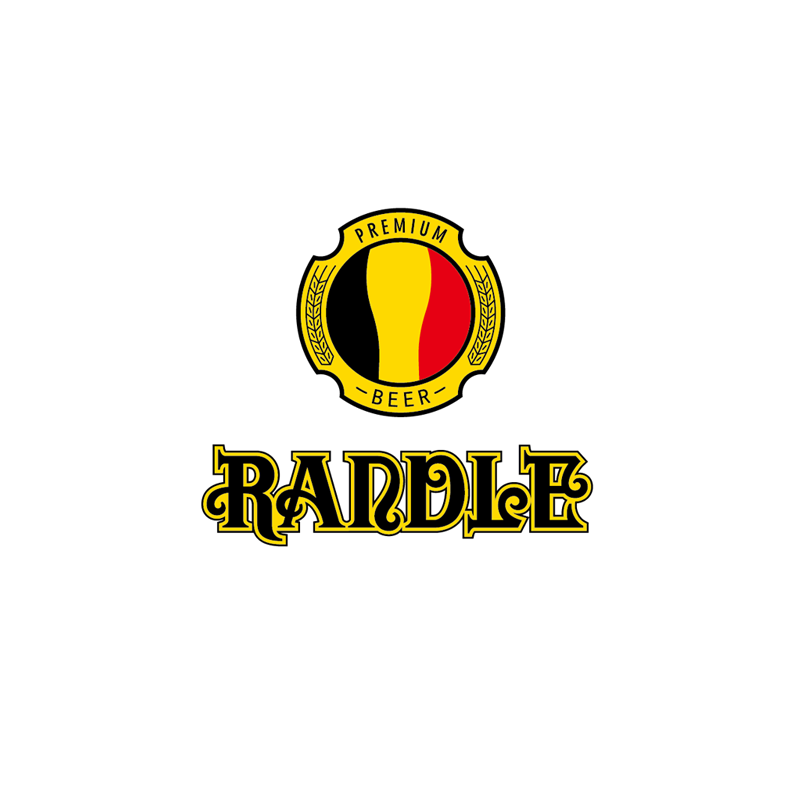 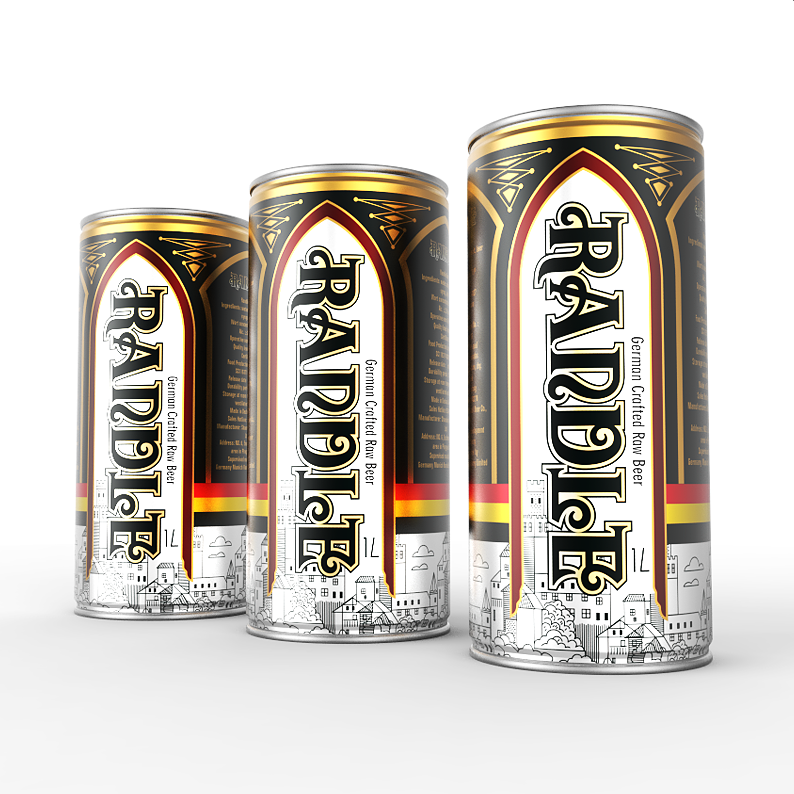 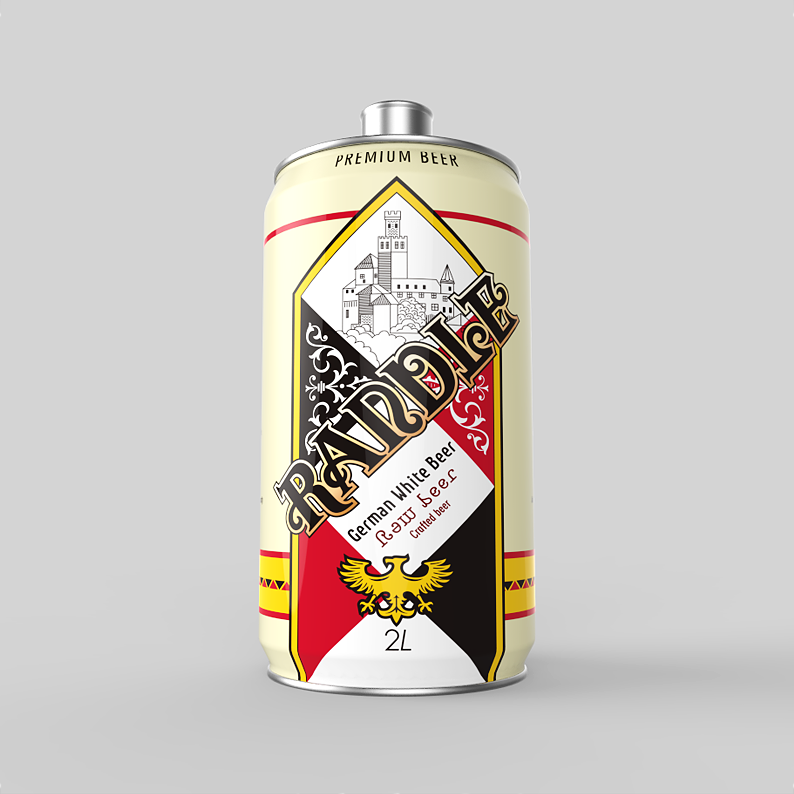 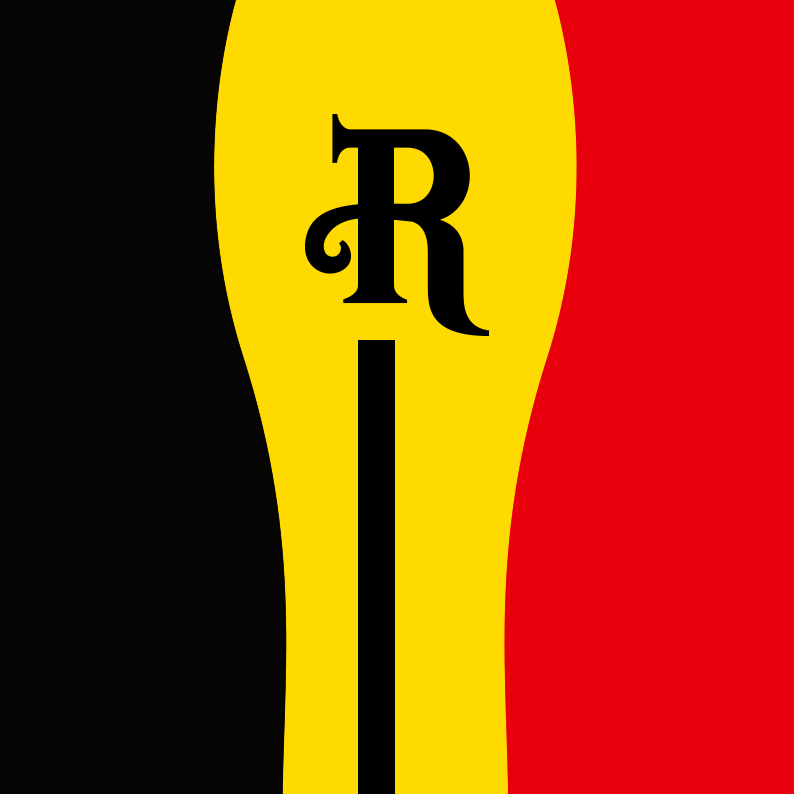 RANDLE is belonging to Germany Munich Randle Brewery Limited. 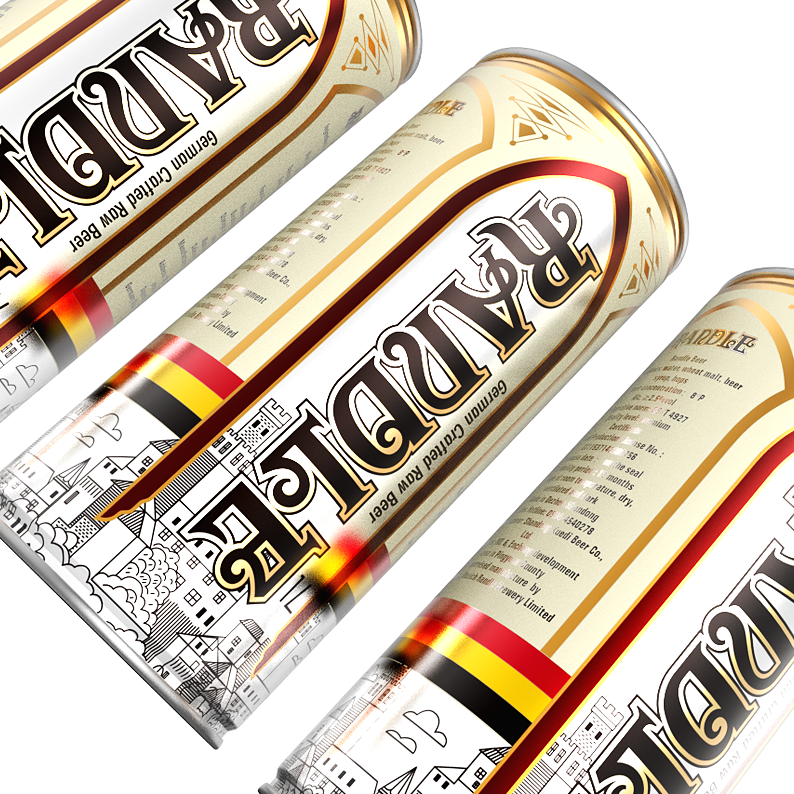 The overall brand planning and package design are implemented by Bofly design. 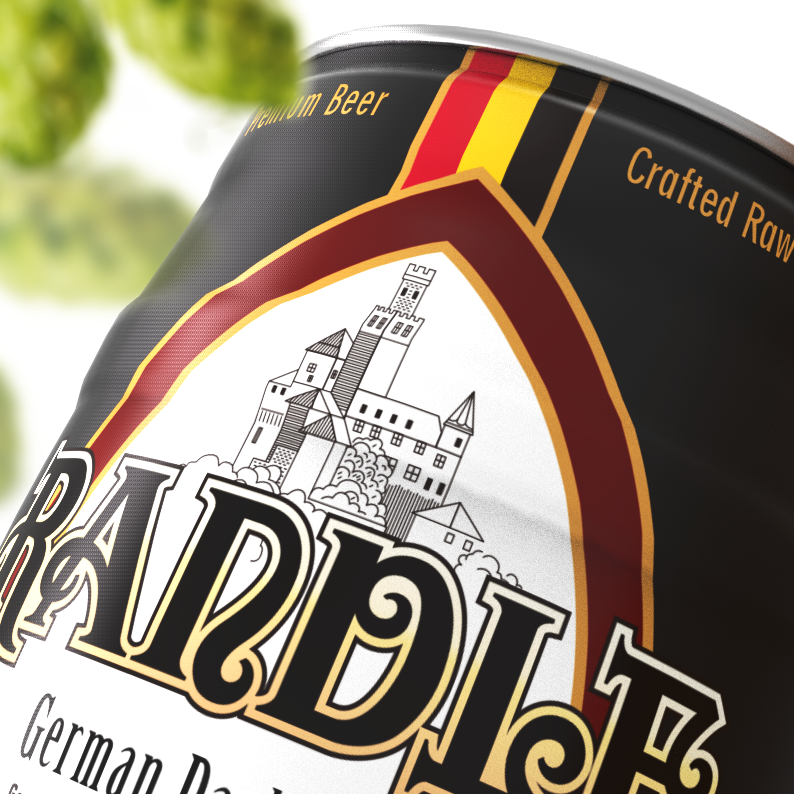 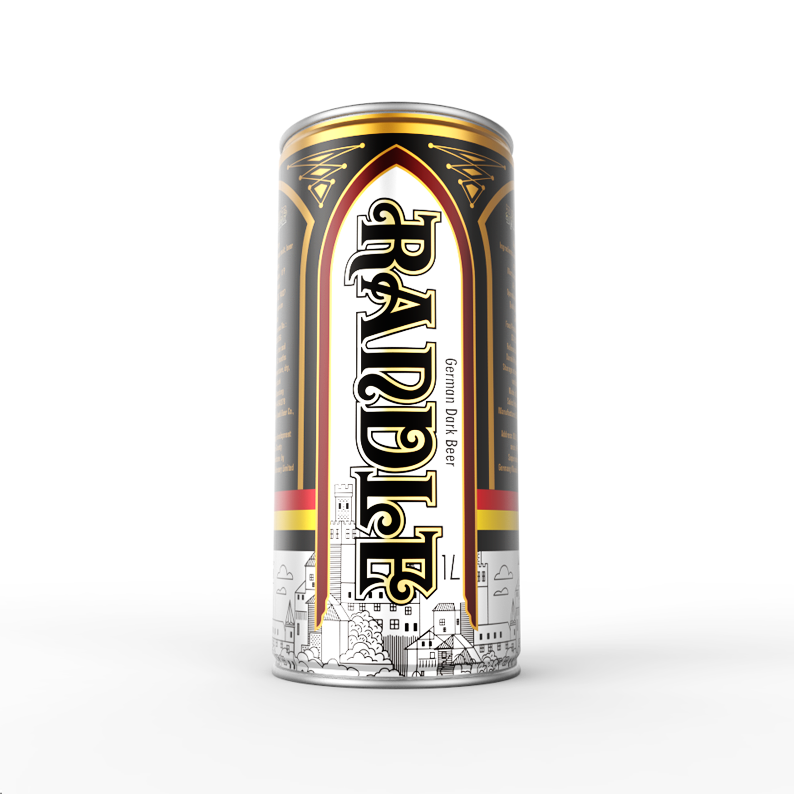 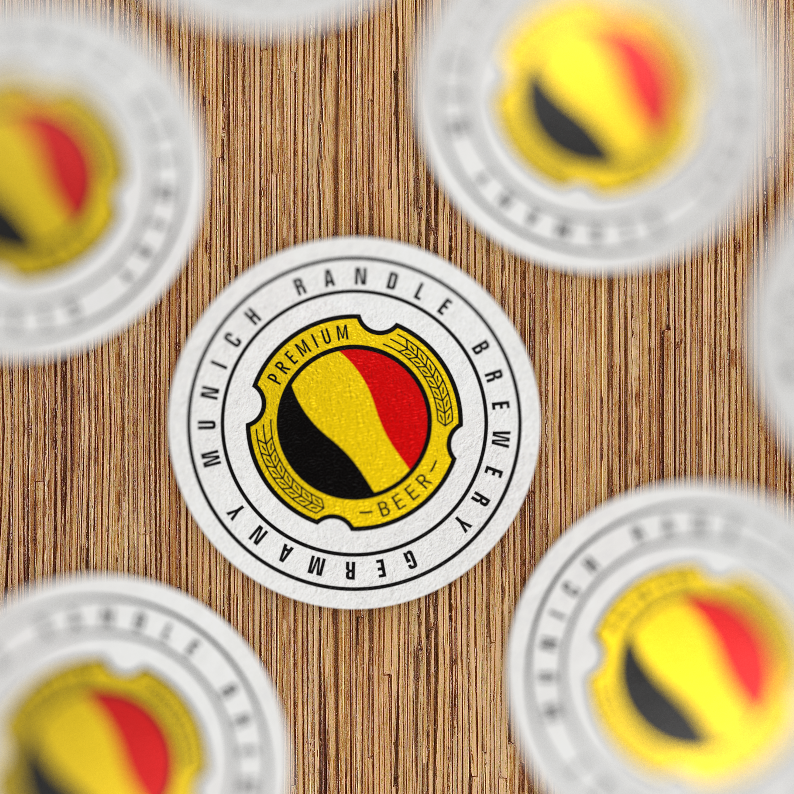 The client asked for a package designed with German beer face, which is a little bit difficult. 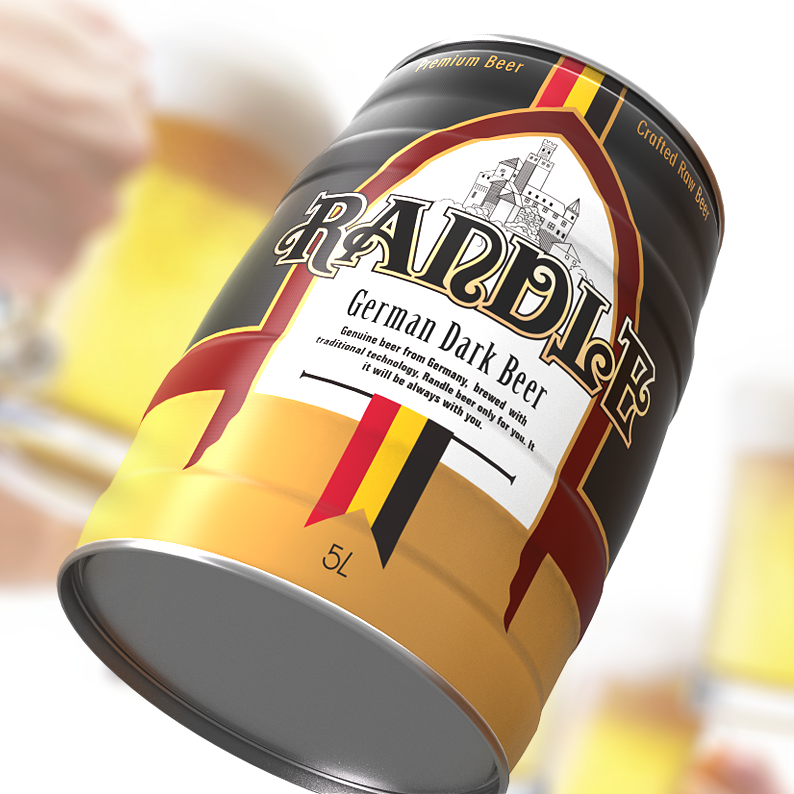 And there is no fixed definition for German beer’s image. 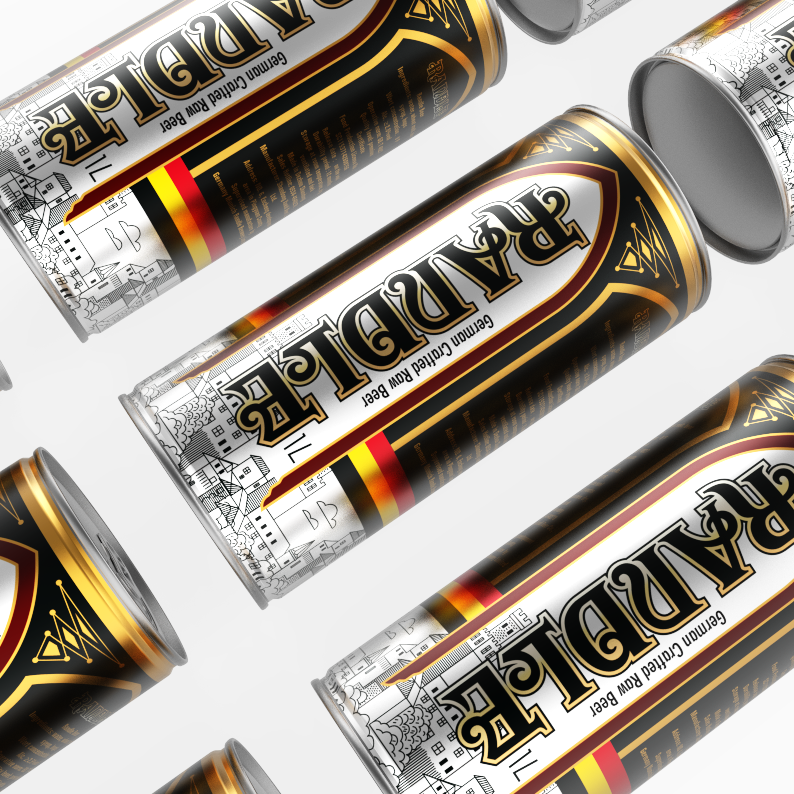 It is undeniable that German beer take an absolute position in the broad and profound beer culture, and it has a decisive contribution to the development of beer technology and culture. 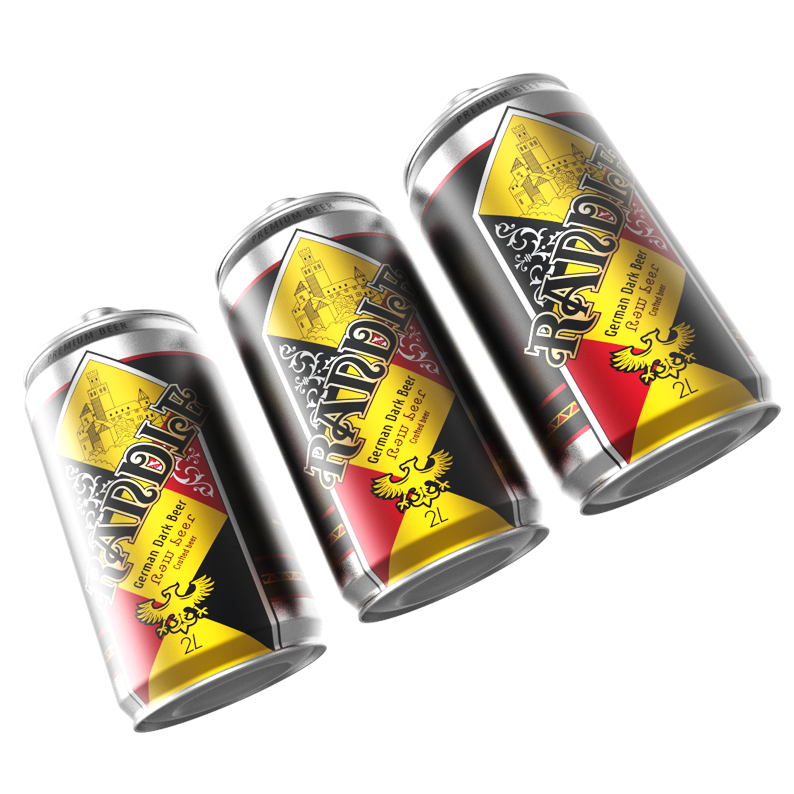 Despite there are many classic products displayed in supermarkets, all kinds of other brands of beer cause them completely submerged in a chaotic market. 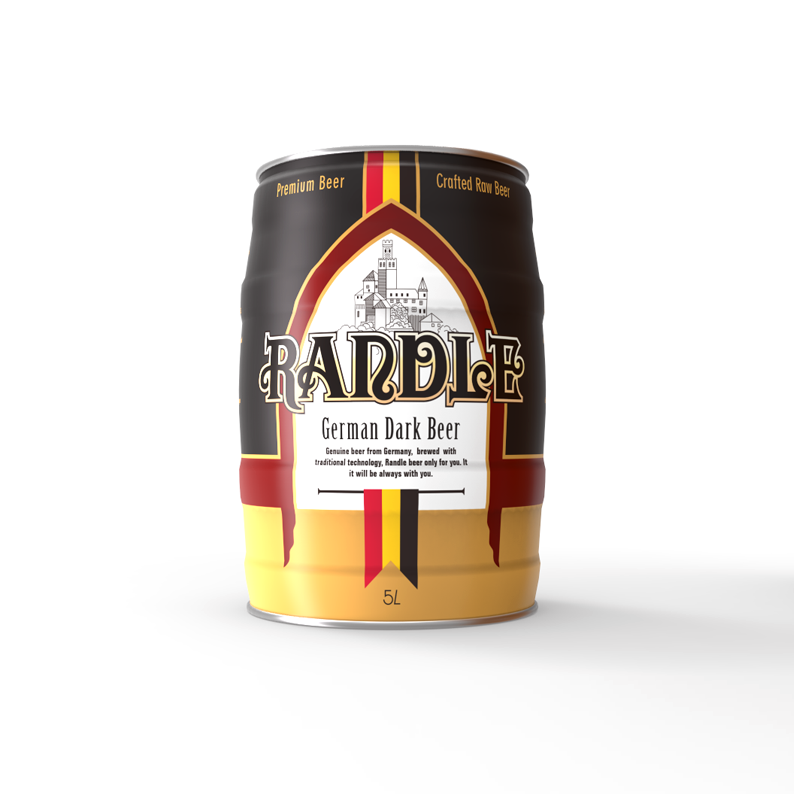 Excavating from the national culture of Germany and the traditional culture of beer, beer is always linked to religion and politics. 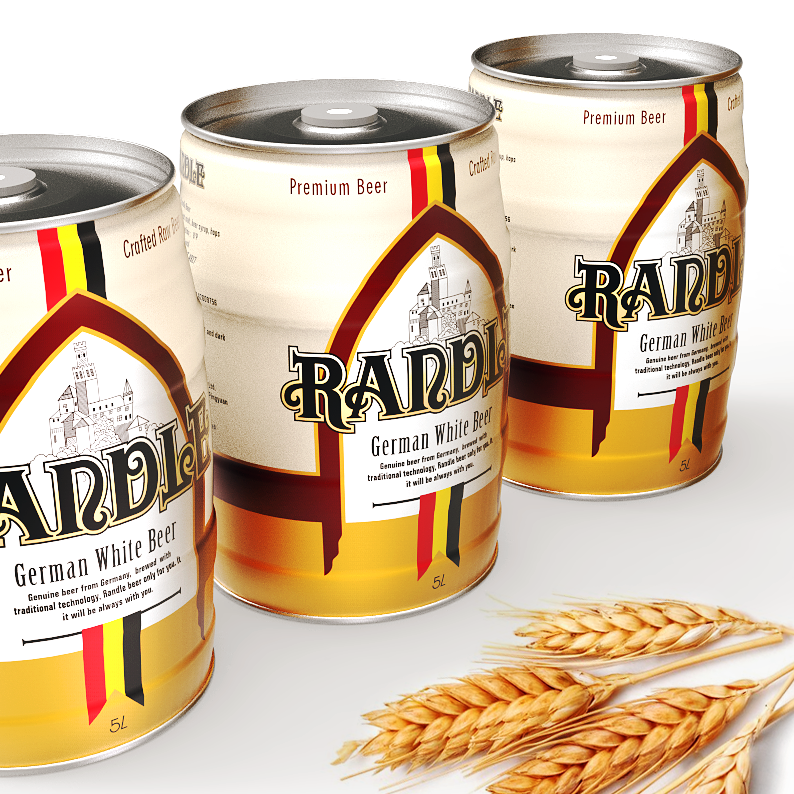 The earliest beer brewing in Germany can be traced back to 3000 years ago.The cultural journey of German beer started with the appearing of monks brewing beer in southern Germany. 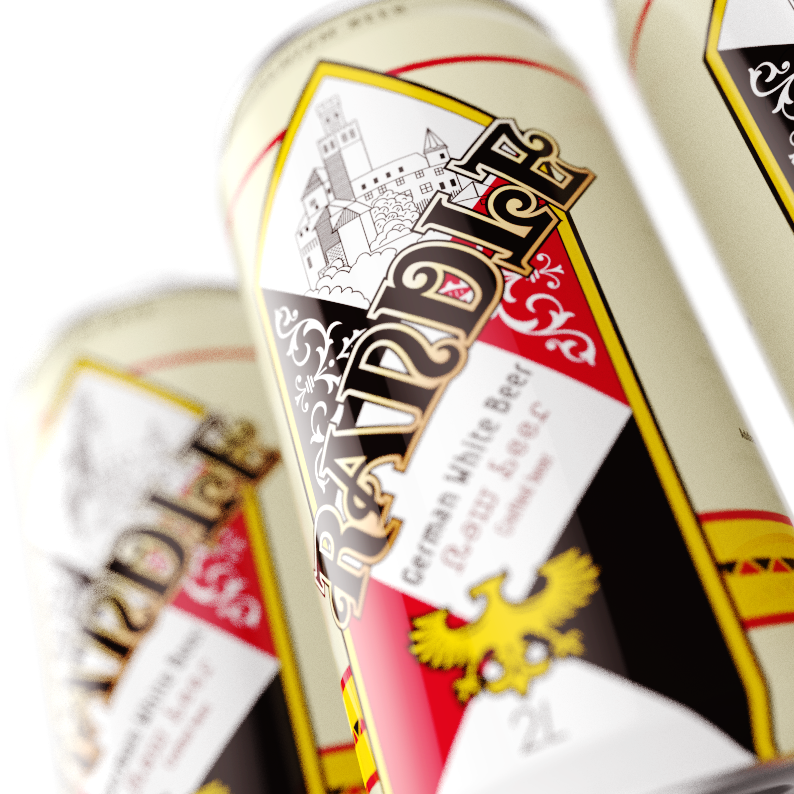 With the comprehension and analysis of German traditional culture, German church, castle, eagle, clothes and so on, they all will be the elements of visual expression. 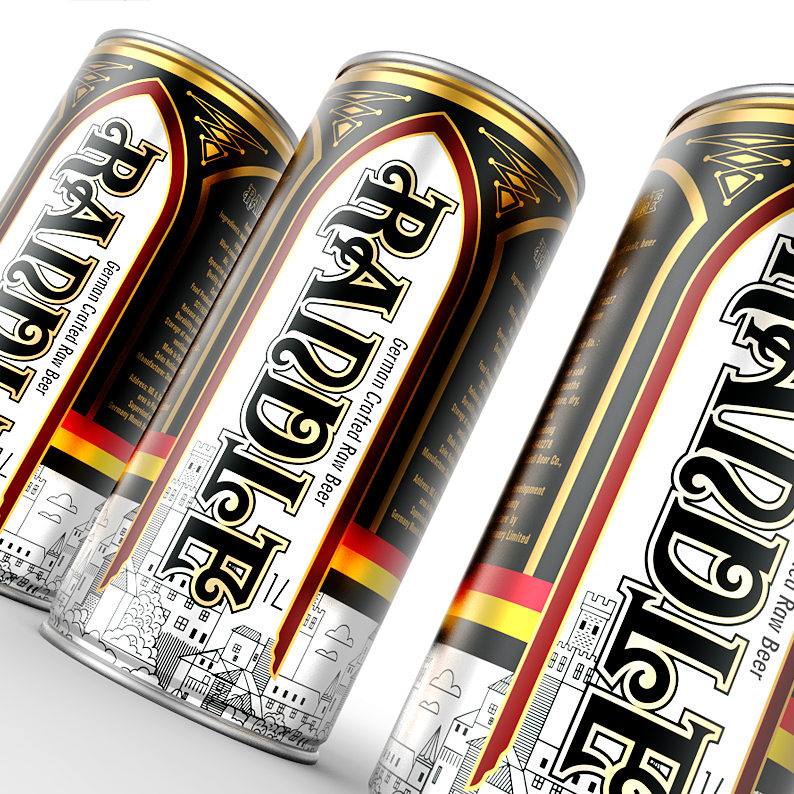 It’s the intuitive grasp of German Culture. 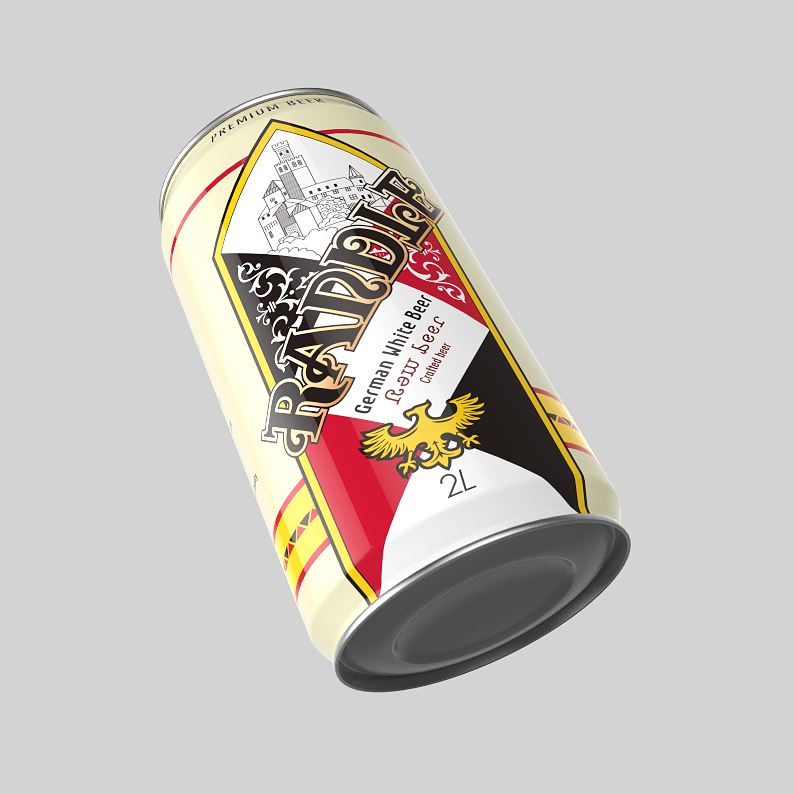 Finally, it becomes the visual symbol of brand packaging and consumer communication. 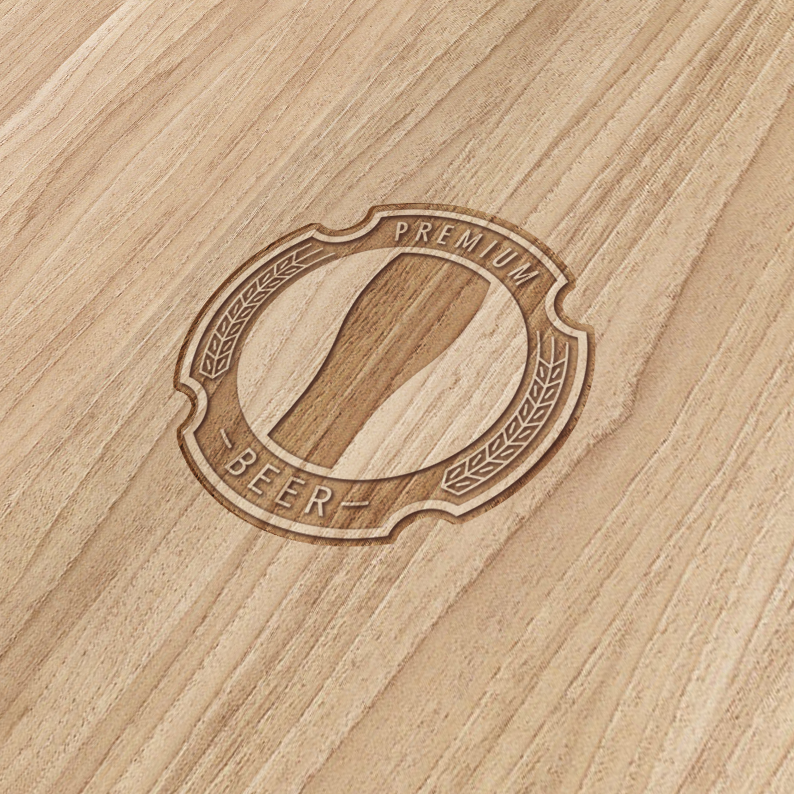 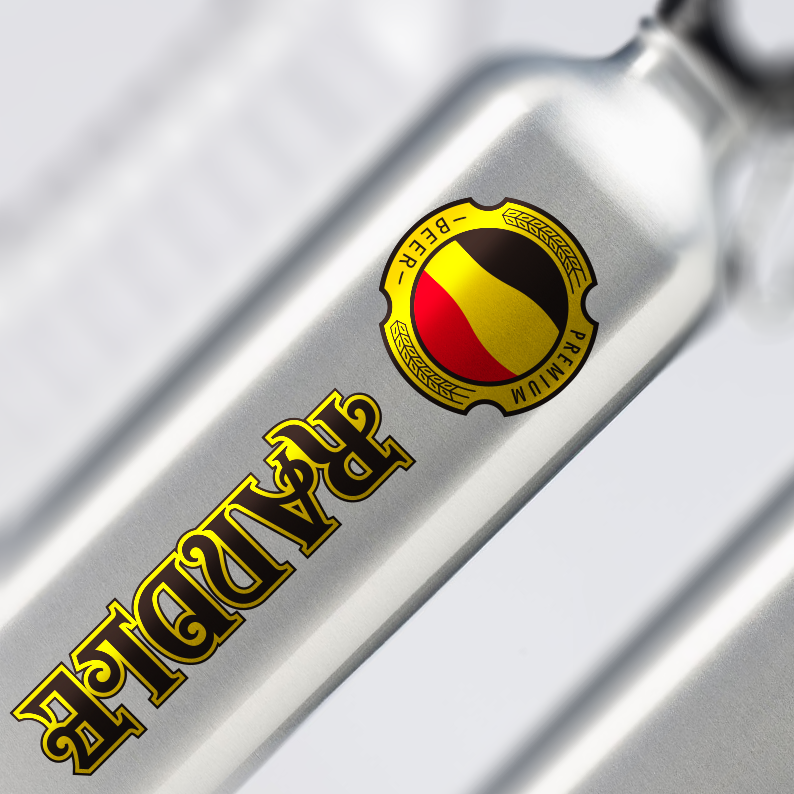 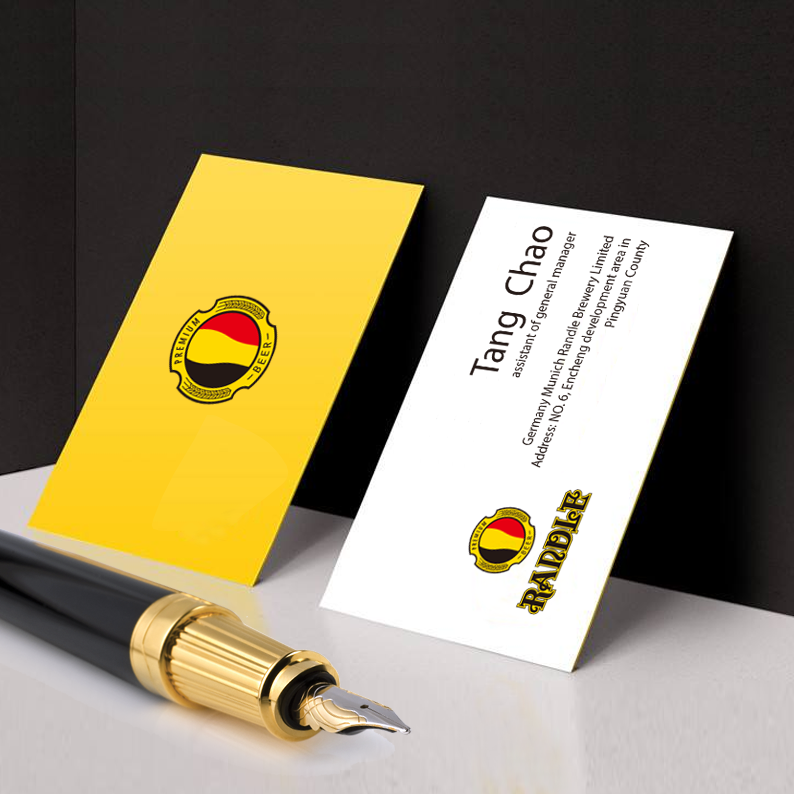 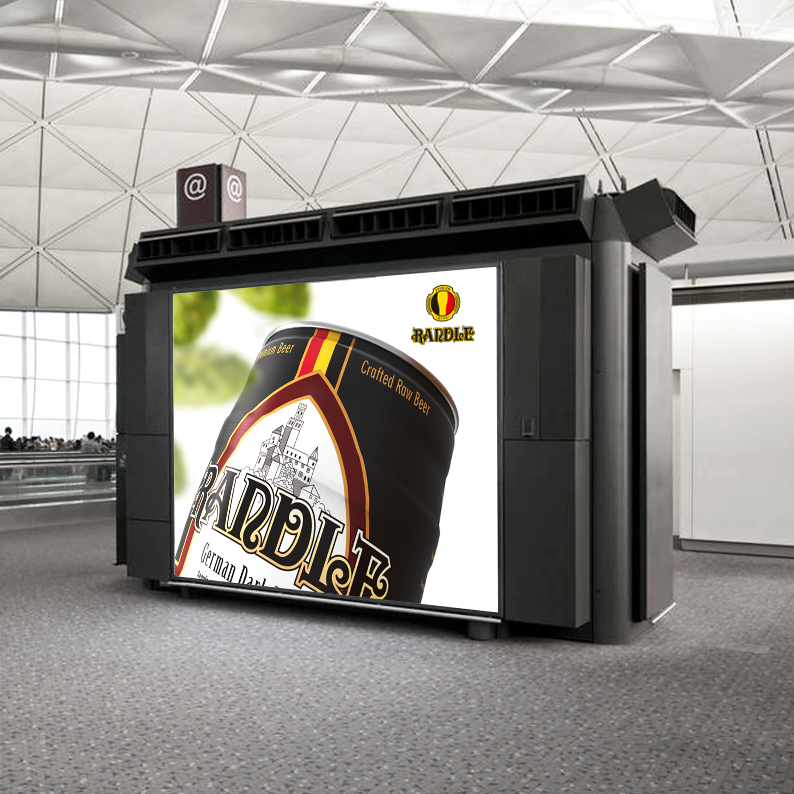 The overall brand design has the traditional connotation of beer industry and modern visual design aesthetic sense. 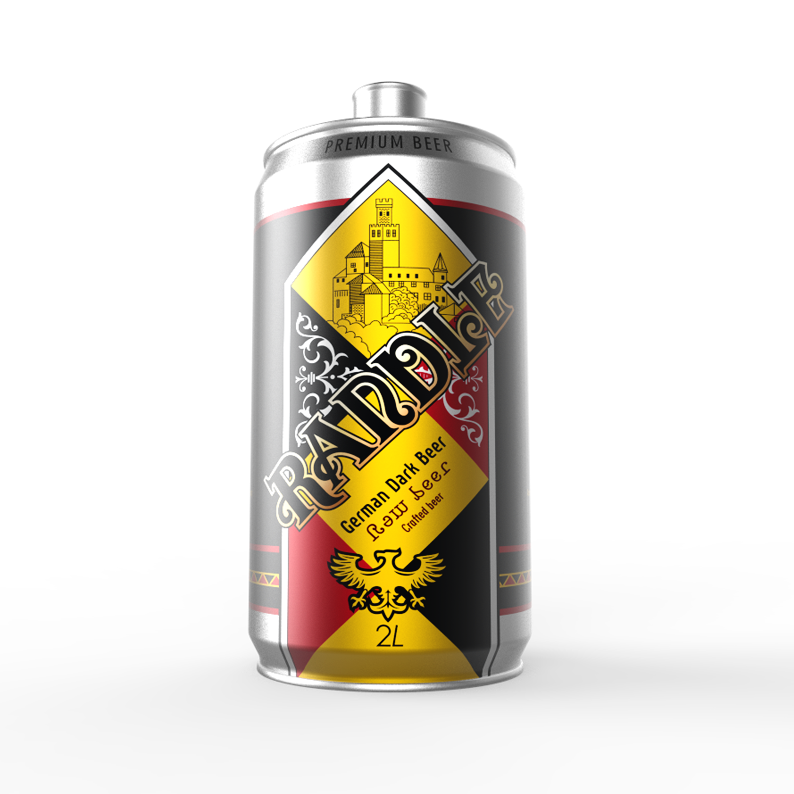 It shows the product personality and differentiation in the performance of unique symbol.